Greg and Colleen Neff – Greg is a lifelong resident of Hayward. They met at the University of Minnesota Duluth where they both attended college. They were married in 1995 and moved to Hayward in 1999. 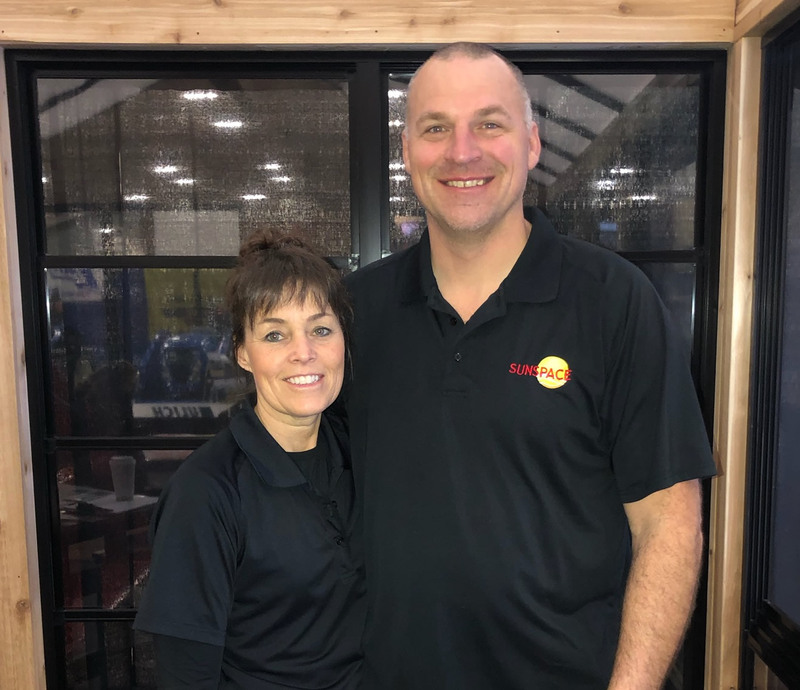 For the past 20 years they have owned and operated Neff’s Northland Evergreens, Inc. and Fuller Garage Door in Hayward, Wisconsin. Neff’s Northland Evergreens is a wholesale supplier of fresh Christmas wreaths. Another part of the Northland Evergreens business is that they provide lawn care/snowplowing services along with property management of lake homes in the Hayward area. In addition to Northland Evergreens, they own Backyard Enclosures specializing in Sunrooms and Porch Enclosures. They have three daughters Brittany, Madelyn, and Emily. All of which are very active in school, sports and the Hayward community. Very family oriented, they spend most of their time camping, snowmobiling, traveling, golfing, and watching their children in the many sporting activities. Greg and Colleen are members of the Northland Area Builders Association.